We're back in that nebulous timeframe in between seasons of Rick and Morty. After an 18-month wait for the third season that concluded in October, it sounds like the fourth season of the Adult Swim favorite won't arrive for a while. Writer Ryan Ridley recently told The Detroit Cast that the long production schedule means we could be almost two years away from season 4. "I know how long the show takes to write, let alone animate," he said. "So it's just like, I'd be surprised if there was a fourth season on the air any sooner than 2019–in late 2019." 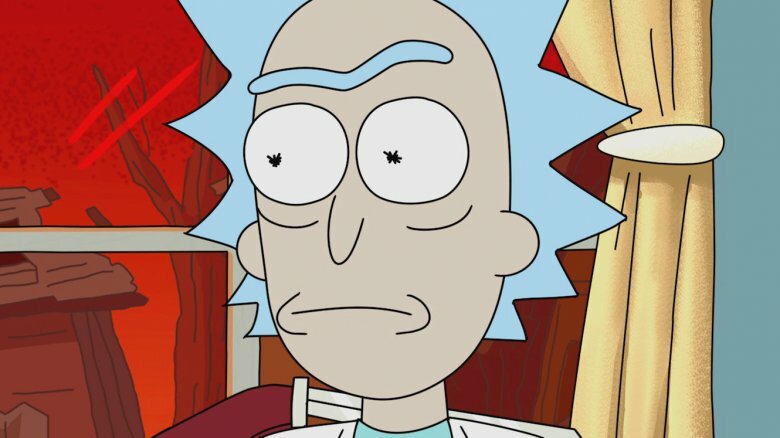 Created by Justin Roiland and Dan Harmon (Community), the animated series centers on demented genius Rick Sanchez and his dimwitted grandson Morty Smith. Together, they embark on inter-dimensional adventures that are as absurd as they are hilarious. However, new seasons are like new albums by a supergroup, and they don't come on a regular schedule. "[Roiland and Harmon] really take their time," Ridley said. "I never understood why everybody all parties–Dan, Justin, and Adult Swim–didn't get their s*** together, and make the show fast. I just don't get it. It doesn't make any sense to me. I'm sure they all have their reasons. Get your s*** together, you guys. Get it all together, and put it in a backpack." Meanwhile, Rick and Morty fan Deadmau5 treated the crowd at his New Year's Eve show to a brief sketch featuring the characters (via UPROXX). It might be as much as we'll get for the time being.